ok, my sweetheart smells like that? so my sweetheart would probably smell like the cologne that i bought him right? or maybe just the body shampoo that he uses. 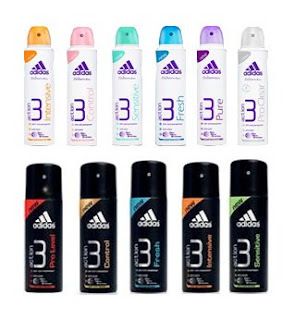 so how do you write a blog entry about how your sweetheart smells like for 200 words when you don't have a real sweetheart and have never smelt any of the adidas products? you have to be a very good faker like moi. (i'm not gonna use mouse as the preference anymore. but only when we're really really on. i mean what would you think if your girl buys you deodorant one day out of the blue? but some will definitely think that their girl is picking faults. buying a deodorant that doesn't have a strong smell would be a great idea. i dun want ppl to think that my boy's gay or anything. but if he smells nice it would be weird to me. i don't know bout you guys out there.